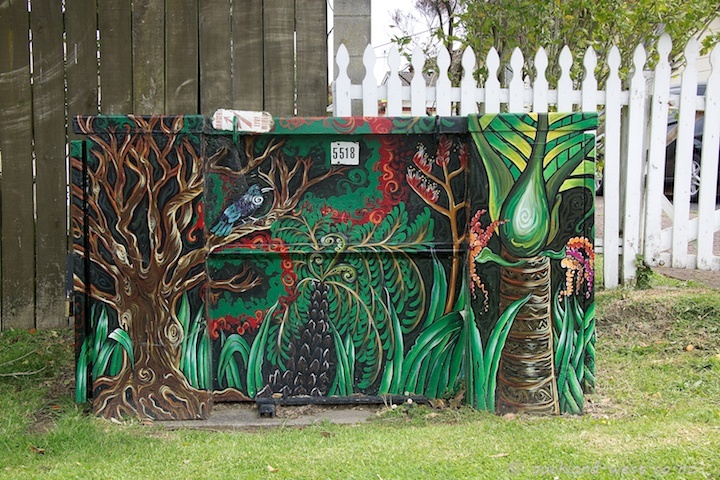 A transformer box at Newham Place, McLaren Park. Painted by Monique Rush, and showing impressions of local bush and birdlife. Quite colourful. Utility boxes here sometimes get painted in various ways, which are more pleasing than the standard to the eye.